and plates; cake stands; and teapots. 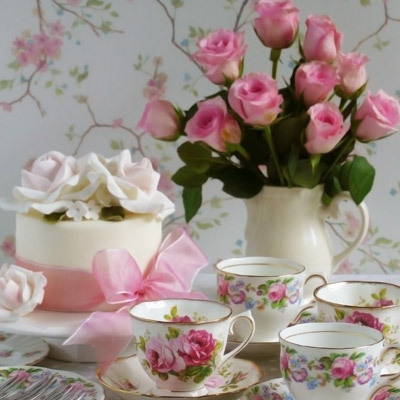 [T]here are few hours in life more agreeable than the hour dedicated to the ceremony know as afternoon tea. A drawing of a cake stand. Please Note JavaScipt has been disabled or is not supported by your browser. Some parts of the page may not appear as intended.